Oakin Ironbull: All Bloodtotem and distinguished guests must go through a trial of blood in the cavern beneath this outpost. I hope it’s a good sign that they wish you to participate in this rite of passage. 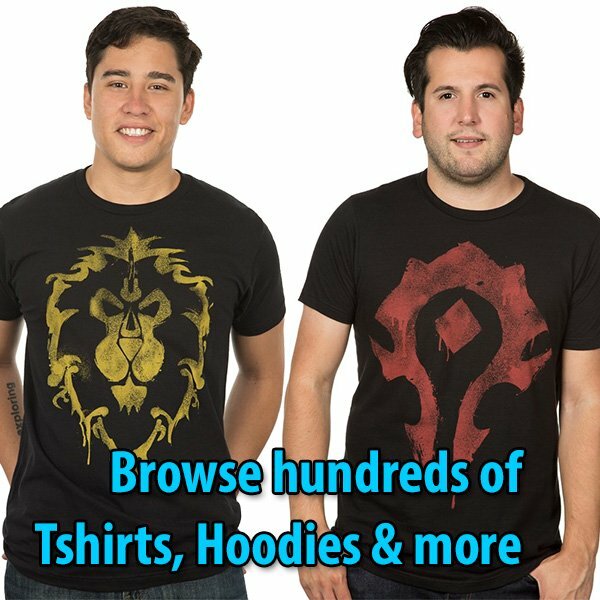 You will need to show proof of your deeds, defeat a Warmonger in single combat, then perform sacrifice at an altar deep in the cavern. Place the Witch of the Wood’s carcass on the altar and defeat a Warmonger in single combat. Oakin Ironbull: Meet me in the cave below, (name). They’ll want to see the corpse of the harpy you slew. Oakin Ironbull: (Name) is here to meet with Torok. He/She slew the Witch of the Wood. Bloodtotem Trapper: What must we give in return? 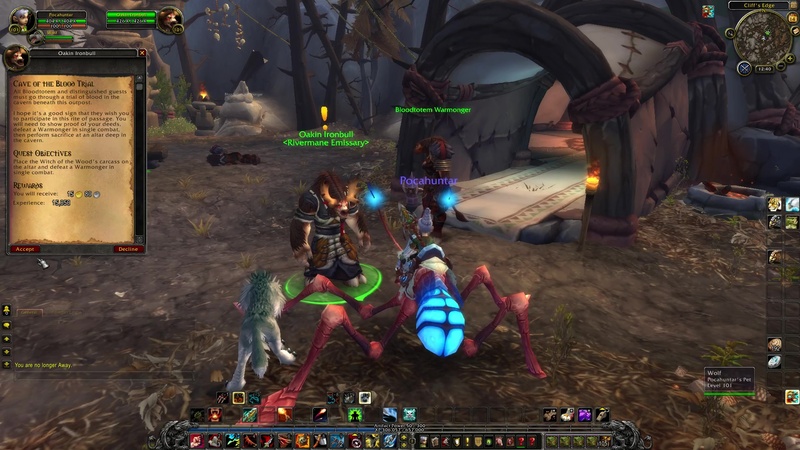 Bloodtotem Warmonger: A challenge? Let’s see what this one is capable of! 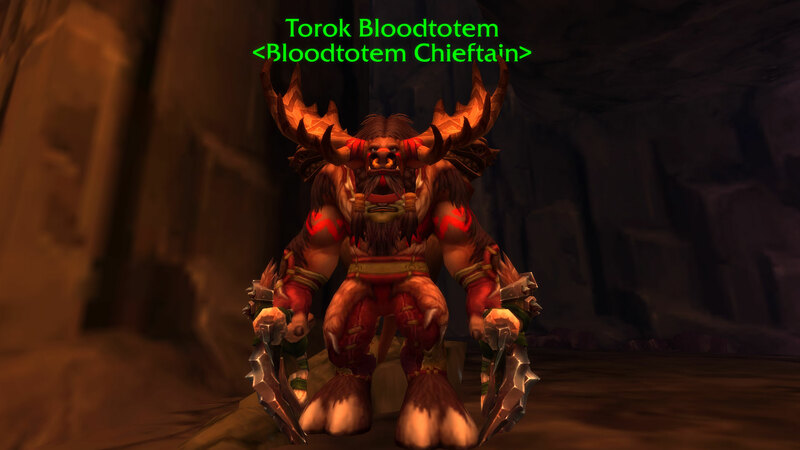 Torok Bloodtotem: He went easy on you, outsider. Come, speak. 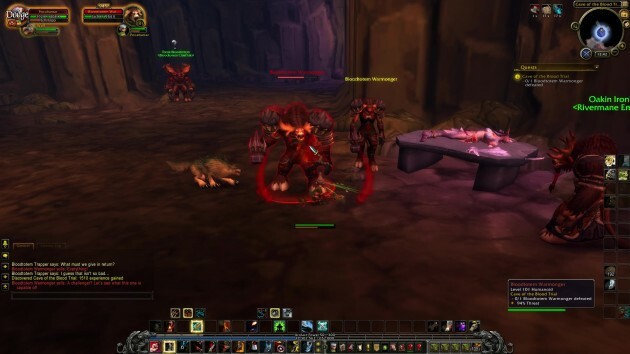 Torok Bloodtotem: They said an outsider would wield the Hammer of Khaz’goroth. I doubt you could even lift it.